Reading, writing, translating; the avant-garde and tradition; the fate of the novel: these are some of the themes of The Written World and the Unwritten World. 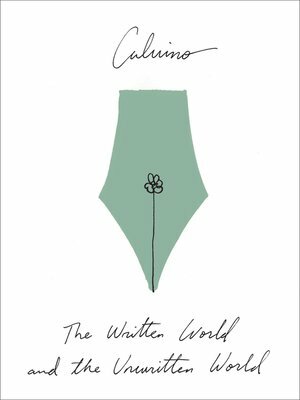 A collection of essays, forewords, articles, interviews, notes, and other occasional pieces, this work displays Calvino's remarkable intelligence and razor-sharp wit as he explores the meaning of literature in a rapidly changing world. Drawn from Mondo scritto e mondo non scritto (2002), Sulla fiaba (1988), and uncollected essays, this volume of previously untranslated work—now rendered in English by Ann Goldstein—is a major statement in literary criticism.